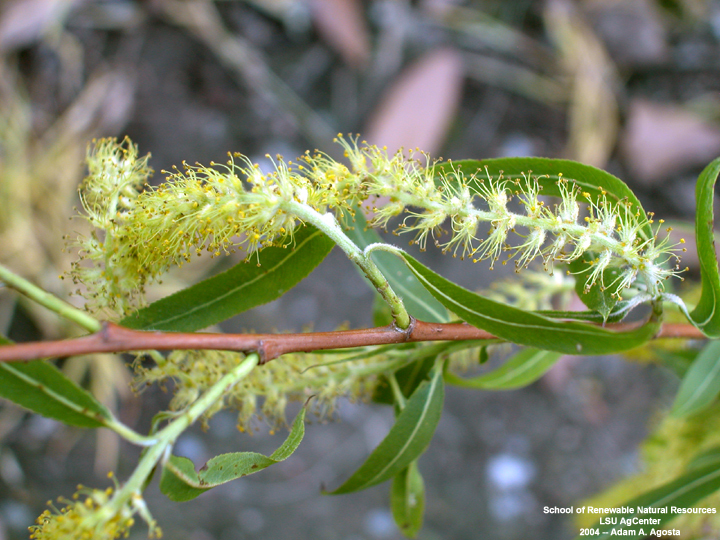 Salix flowers and leaves. 2004 Adam A. Agosta.School of Renewable Natural Resouces LSU AgCenter.mr.lsu.edu (Accessed 5/2015). Salix is a genus of shrubs, or, less often, trees. Leaves alternate, simple, margins toothed or entire. Flowers very small without petals or sepals in erect to spreading catkins (not drooping). dioecious (males and females on separate plants). Fruit dry, capsules opening in 2 parts (valves) to release numerous small seeds each with long white hairs that aid in wind dispersal.